A strong majority of Americans (86 percent) say a clogged public restroom toilet would negatively impact their perception of a business, according to a recent survey commissioned by Sofidel, a global provider of paper for hygienic and domestic use. 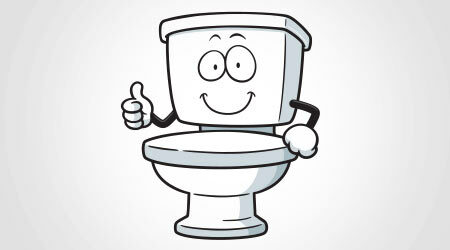 The survey, conducted online by Harris Poll, Feb. 6-8 among 2,079 U.S. adults ages 18 and older, also found that more than three-fourths of Americans (76 percent) have experienced a clogged toilet in a public restroom. • 4 in 10 Americans have encountered a bathroom closed due to a clogged toilet. • 49 percent of Americans have experienced foul restroom odor due to a clogged toilet. To reduce the occurrence of restroom clogs in commercial settings, Sofidel offers Bio Tech toilet paper. Bio Tech uses Biologic Active Tissue Paper (BATP) technology to produce enzymes that help disinfect restroom pipes and limit clogs as quickly as after one month of use. Studies demonstrate that the exclusive use of Bio Tech can provide total savings of up to 40 percent compared to standard toilet paper. Sofidel’s Dissolve Tech hand towels also reduce clogs because they dissolve in less than 3 minutes if they are accidentally flushed down the toilet. The towels feature strong resistance, high water absorbency capacity during hand drying.